Los Angeles-based singer-songwriter Kelsy Karter has unveiled a new song “Harry” with an accompanying music video. She sings about former One Direction member Harry Styles on the new song. 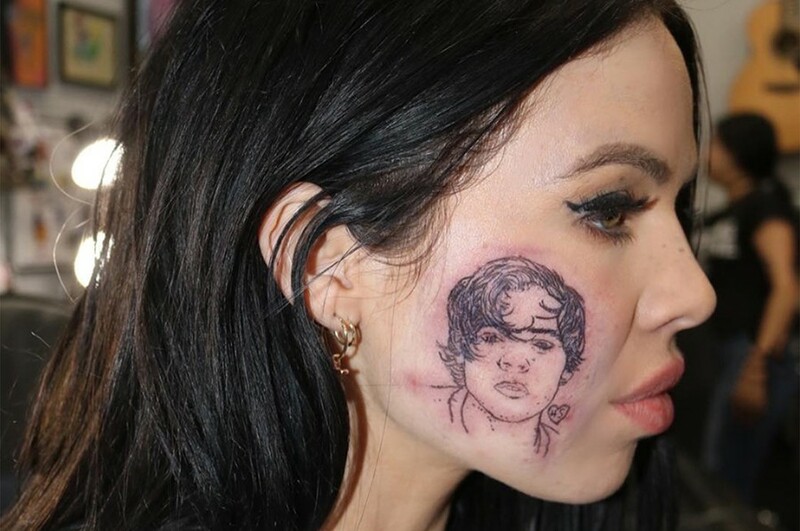 Also she showed the cover design of the song, in which she tattooed his face on the right side of her cheek. The video was directed by Kelsy Karter herself, who crafted it like '60s music TV style. Kelsy Karterand co-wrote the song with Anthony Rossomando, who won Golden Globe with "Shallow” from ”A Star Is Born" and nominated for Oscar. "The song says it all, doesn't it?" she told Billboard about Harry Styles. "It's just my ode to him, I guess. I think he's amazing and, come on, he's like the best person on the planet." She added, "I love that he's from the pop world and went and did a rock album and introduced kids to rock 'n' roll, to sounds they wouldn't have otherwise heard. Everything he's doing is amazing and bold. I want to be a female version of that in my career."